CORE Survival HEL-STAR EXO Exoskeleton-Body Helmet-Mounted, Multi-Function Combat/Tactical Helmet Light: Lo-Pro/Hi-Vis (Low-Profile/High-Visibility) Visible/IR Helmet Light for Airborne and Confined-Space Combat Ops! (Video!) | DefenseReview.com (DR): An online tactical technology and military defense technology magazine with particular focus on the latest and greatest tactical firearms news (tactical gun news), tactical gear news and tactical shooting news. 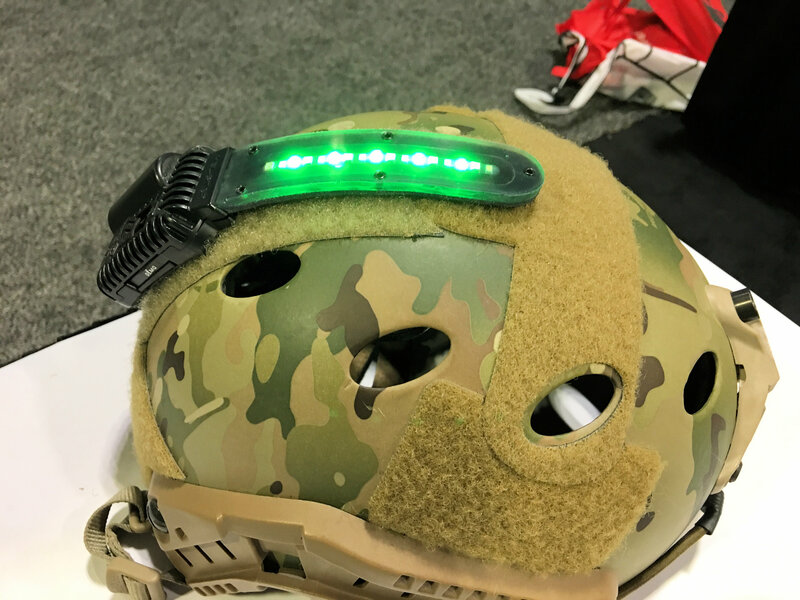 Almost exactly a year ago to the day (one day over), DefenseReview reported on the CORE Survival HEL-STAR F2 (Friend or Foe) helmet-mounted multi-function light/strobe beacon/marker, which intrigued us enough to write about it. So, we looked forward to stopping by the CORE Survival booth again this year at SOFIC 2017. 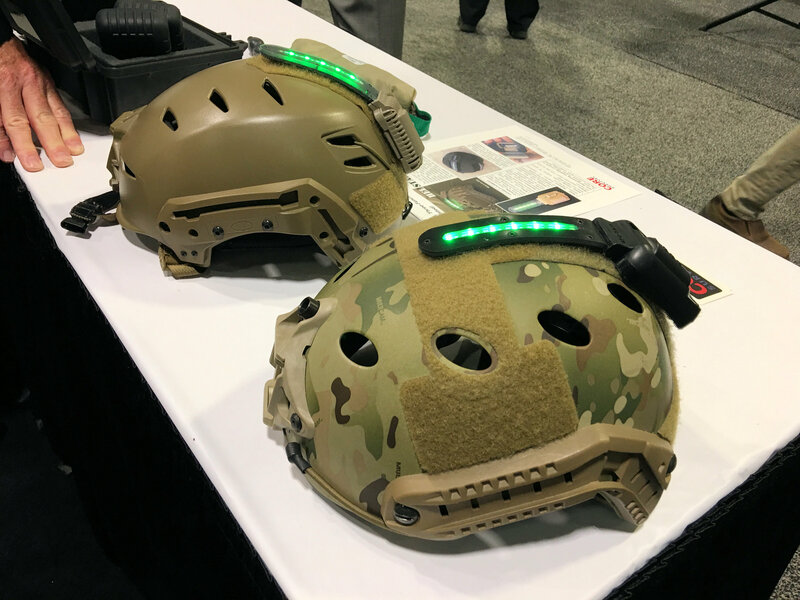 We’re glad we did, as the company showed DR a new exoskeleton-body combat/tactical helmet light called the CORE Survival HEL-STAR EXO. 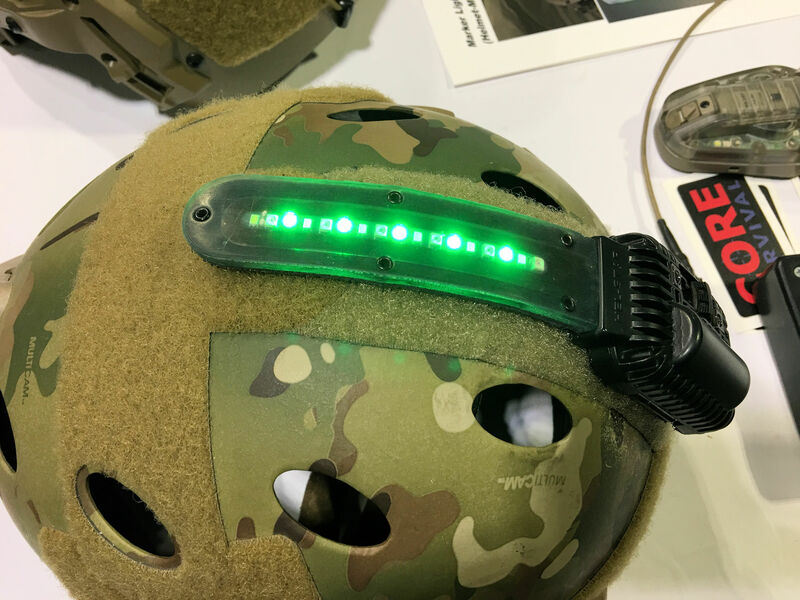 The CORE Survival HEL-STAR EXO exoskeleton-body combat helmet light is essentially a smaller-bodied variant of the CORE Survival HEL-STAR 4 and HEL-STAR V for confined-space combat/tactical operations. CORE Survival’s President Marcia Baldwin was kind enough to take DR through the HEL-STAR XO’s major points at the company’s booth. “We’ve raised the lateral visibility, so it’s [easier to spot] than the older versions. It’s smaller, a good bit smaller. It’s going to have a tool-free battery change, wheras the other one required tools. We’re shooting for 60-feet waterproofing, and it’s just going to be more durable, and also have more capabilities, such as field programming, wheras the other one does not. Basically, what we did is, as we developed HEL-STAR 6 [now the HEL-STAR 6 Gen III], we gained a lot of new technology in that development, and we are now able to go back to the HEL-STAR 4 and 5 [HEL-STAR 5] in this new body, and apply that new technology in these other products,” said Baldwin. 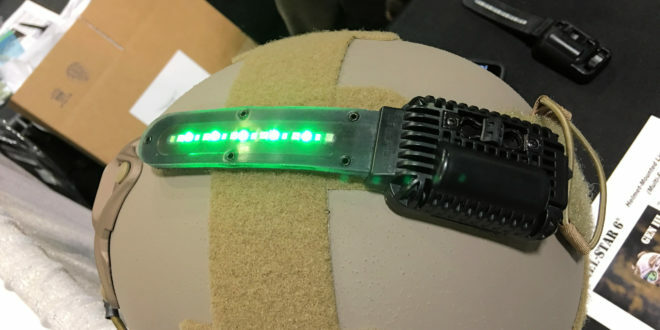 CORE Survival doesn’t yet have a specific product page for the HEL-STAR EXO on their website yet, but DR’s video below shows the product and Ms. Baldwin discussing all of the above. You can also check out the HEL-STAR 4 and HEL-STAR 5 product pages, in the meantime. Defense Review will of course keep an eye out for the HEL-STAR EXO product page, and update this article with new links when it goes live. © Copyright 2017 DefenseReview.com (DR). All rights reserved. This material may not be published, broadcast, rewritten or redistributed without receiving permission and providing proper credit and appropriate links. If you are reading this article anywhere other than DefenseReview.com, please email us the website address/URL (where the unauthorized DR article reprint is located) at defrev (at) gmail (dot) com. Thank you. Ops-Core FAST Ballistic Helmet (Crye MultiCam Camo Pattern?) 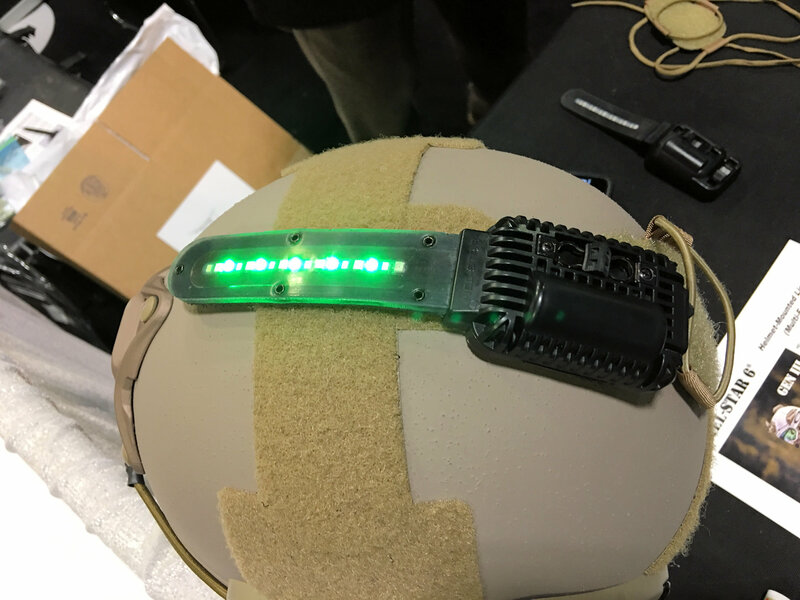 Military Combat Helmet with FAST-ARC Accessory Rail Connectors and Head-Loc Chinstrap Retention System Going Operational in Afghanistan with U.S. Army Special Forces: FAST Helmet Demo Video, and Contour HD Tactical Helmet Cam (Camera) Photos! Previous: Gen5 Glock 17 and Glock 19 (Glock 17M and Glock19M) 9mm Combat/Tactical Pistol Models Take a Step Forward, and a Step Back: Best 9mm Glock Pistols Ever? Recoil Magazine Gets First Detailed Look! 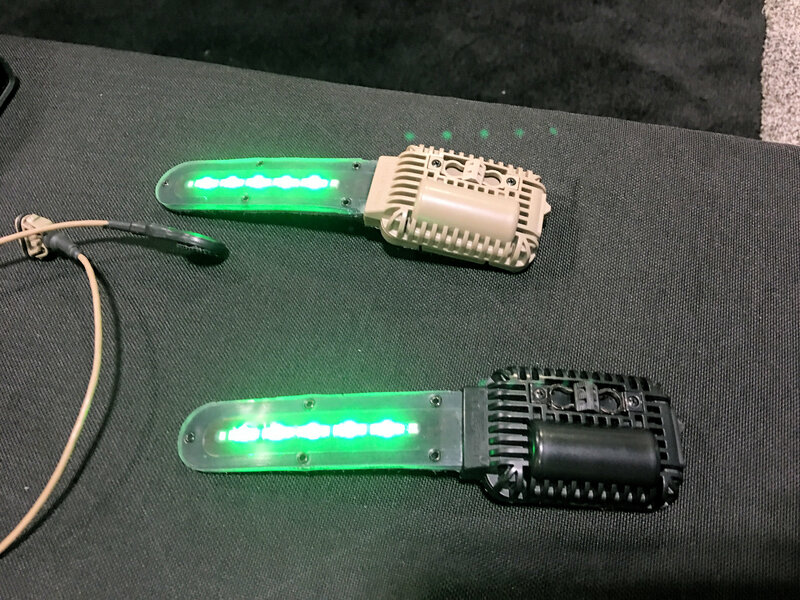 Next: Strike Industries CAT (Center Axis Target) Sight Lo-Pro/Hi-Vis Illuminated Auxilliary Aiming Device for Low-Light/No-Light Gunfighting with Your Pistol at Night!